Presenting our ABS-Lock Falz IV (Standing Seam) anchorage point in moving images: Watch our short product video to find out more about its most important features! This stainless steel anchorage point can be installed on standing seam roofs made of steel, copper, aluminium or titanium zinc without penetrating the roof surface. Depending on the subsurface, this kind-to-your-roof device is attached using the aluminium or brass clamps supplied in the package. Are you looking for an anchorage point / anchor for a standing seam roof? Then our ABS-Lock Falz IV Standing Seam is just the perfect solution. This anchor is simply clamped onto two adjacent standing seams and is available for seams spaced 300 to 660 mm apart (e.g. Rheinzink). 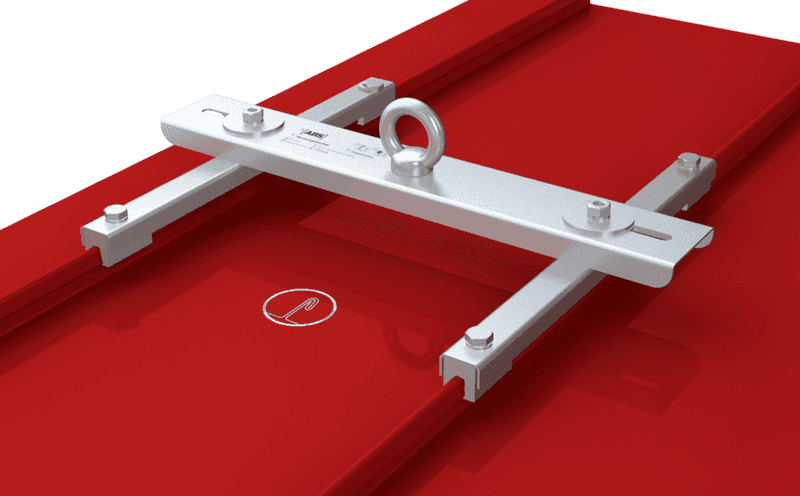 The big advantage: The specially-designed aluminium or brass clamps do not penetrate the roof membrane - keeping your roof completely watertight. Simply clamp our ABS-Lock Falz IV Standing Seam single anchorage point onto 2 adjacent seams to reliably secure up to 3 individuals. Alternatively, use this anchorage device to set up a more complex lifeline system. 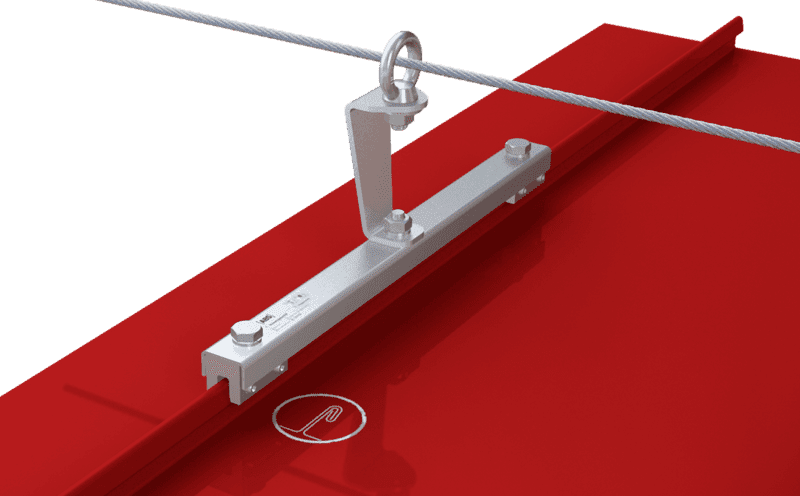 Should you need to bridge any obstacles along the way, our range of products also includes an ABS-Lock Falz IV Standing Seam model with a protruding bracket. Our ABS-Lock Falz IV Standing Seam can be installed on really thin surfaces. All you need is a 0.5 mm steel or stainless steel surface.